Here are some scattered shots of a couple of the nail polishes I've already featured on Messy Wands - just thought you might like seeing how they perform on actual nails instead of nail wheels. Have to say Rouge Carat and Dior Exquis entirely blew my expectations apart. They didn't even take effort. Just flowed right on. 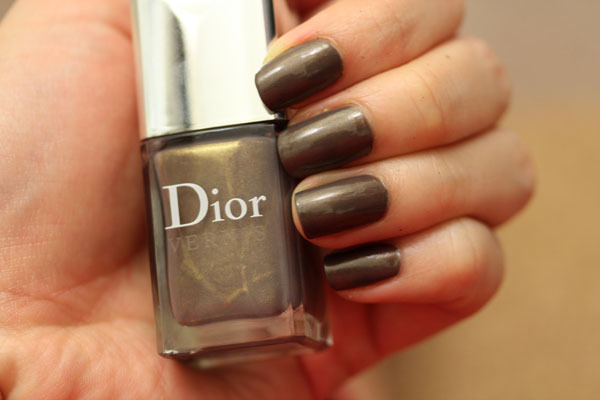 I was particularly surprised by the Dior lacquer. 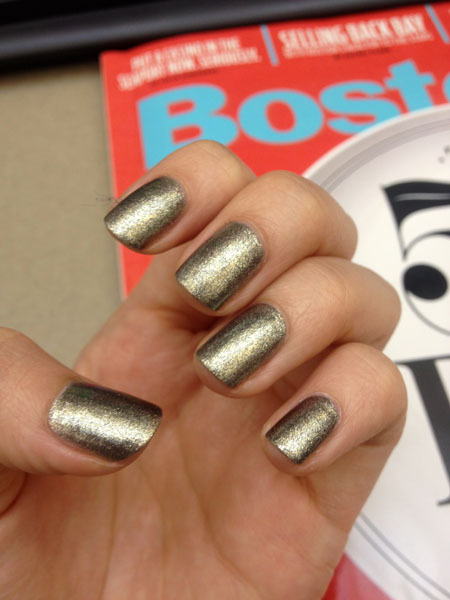 I once wrote that I wasn't fond of the brushes in Dior nail polishes, but applying Exquis made me reconsider my stance. I wonder if they tweaked the brush since, as the brush that came with Exquis fitted the curves around my cuticles just so. I checked Chanel.com to make sure Graphite, one of the three Fall collection nail colors, was still available for sale before featuring it here. Chanel's Fall collection was released in July so throughout the tail end of summer all I saw on surrounding fingers were metallic foils rather than the fun, bubbly pops of color that should have ruled the sunny season. I was adamant on not putting these on till Fall arrived, and since the leaves outside my apartment are finally showing red... voila. I might not be "on trend" with this (but isn't it supposed to be a Fall colour?!) since it's all about the reds and wines now, but I have to say Graphite is a pretty amazing polish. If you don't own it yet I urge you to consider a trip to the Chanel counter (or well, the website since it's most certainly not at counters anymore). Like the two above, Graphite almost applies itself. The first coat goes on slightly gritty but with the second you'll get a smooth surface. 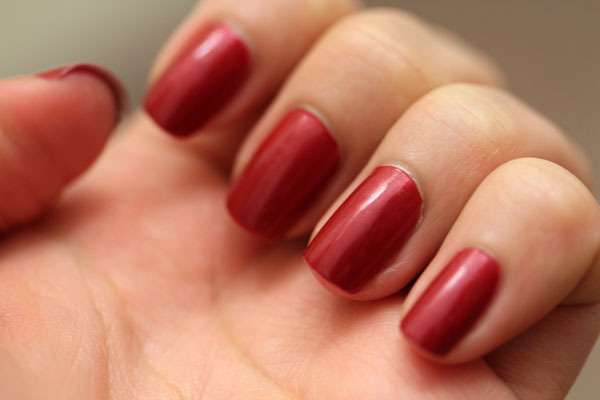 In fact, its texture is a betrayal of how the polish actually looks on the fingers. I can't help but marvel that I'm not feeling grit when I run my fingers over these, but I guess that's what makes it so interesting. Last thing: The Chanel Rouge Allure Velvet collection has finally reached us! I will be visiting my regular Chanel counter tomorrow and hope the collection is in so I can give you my impressions. For now, you can feast on the goodies on the Chanel website. Let's just say it's taking me all of my willpower to not take advantage of the complimentary shipping offer this instant. Stunning colours, those pictures really make me want to have this on my nails!